Superdry women’s Big cat hoodie. 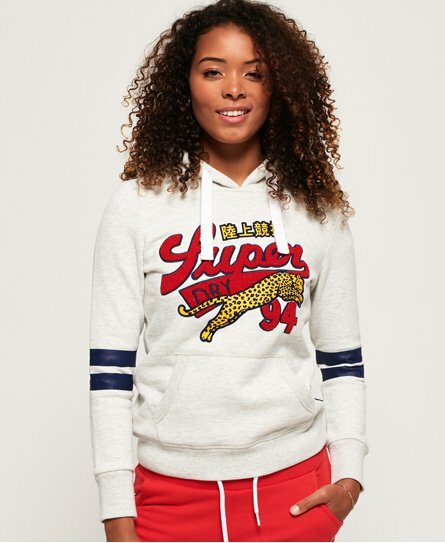 The perfect layering piece this season, the big cat hoodie would look great paired with jeans and trainers. This hoodie features a Superdry logo across the chest in a multi-texture print, cracked effect stripe detailing on the sleeves and a draw cord hood. This hoodie also has a large front pouch pocket, ribbed cuffs and hem as well as a Superdry tab in the side seam and a signature orange stitch on the other.